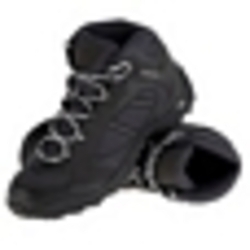 Decathlon Sports India - Retailer of scooter play 6 green, skate shoes play man blue & arpenaz 50 mid men's trekking boots - black in Hyderabad, Telangana. Ease: Quick-fold system with double security. Adjustable height. Glide performance: 2 x 125 mm PU rubber wheels. ABEC 5 bearings. Rear wheel brake. Cushioning: Thanks to its front suspension to absorb the vibrations of the road. Easy to repair: Repair and prolong your scooter's life span using after-sale components. Designed For : Practicing skateboarding. 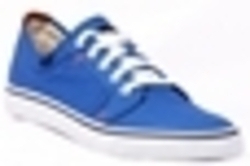 A low top, lace up skate shoe with leather accents on the heel. A durable double stitched canvas upper with a padded tongue and collar. It has a flat rubber Oxelo sole for better grip on the skateboard and are perfect for beginners. Designed For : Hiking on plains and trails with shallow gradients in dry weather. For occasional use. Rubber sole for an increased lifespan and better grip. With its mid upper this shoe lets you hike in full confidence. Traction : Essensole rubber outsole with 4 mm lugs provide good grip. Cushioning : CS heel shock absorption system: durable and high-performance. Support : Mid upper with 1 hook on the top: good foot support. Restriction of use : Not suitable for regular hiking. Weight : 790g per pair in size 8.5. Storage Advice : Store in a dark dry and well-ventilated place. Composition : 50% recycled polyester upper; rubber outsole; EVA-cushioned heel insert. Care Instructions : Wash in soapy water with a soft brush. Do not machine wash. Leave them to air dry. Do not tumble dry. Do not dry near a source of heat. Tested : All our shoes undergo comfort and use tests carried out by users who are representative of our target market in conditions identical to those found in typical use. Our Field Test Missions team the product manager up with people who are unaffiliated with Quechua to test improve and validate our products. Laboratory Test : Laboratory tests were conducted to test the following elements: attachment of eyelets and webbing assembly toxicology UV resistance sole and upper component abrasion accelerated ageing. Field Test : All our shoes undergo comfort and use tests carried out by users who are representative of our target market in conditions identical to those found in typical use. Our Field Test Missions team the product manager up with people who are unaffiliated with Quechua to test improve and validate our products. Designed For : TREKKING for several days. A simple, lightweight and functional bag with pockets and easy access. Practical for both occasional hiking and travelling. Dimensions: H 73 x W 34 x D 30. Easy storage : Pockets: 3 ext. 1 int. 1 belt. Pole-carrier. bottom access and compartments. Efficiency : Compression straps. Chest strap. Load adjuster straps. Hand-rest. Stock Advice : Store your bag in a dry place. How to adjust the height : Set the bag for the height you think will be correct and then adjust it (see. "Adjusting your backpack"). With the belt on your pelvis put the straps around the front part of your shoulders and the load adjuster straps (which are sometimes also height-adjustable) at an angle of around 45 degree. (They should never be horizontal or vertical). When trying it on if the back seems too short or too long readjust and try again until you are satisfied. How to adjust your backpack. : FIRST LOOSEN all straps (shoulder straps belt load adjuster straps). PUT THE BACKPACK ON. For backpacks with a capacity of 50 L or more PLACE THE HIP BELT CORRECTLY (it should sit over the pelvis) and TIGHTEN IT. For smaller backpacks the hip belt should be placed around the waist. TIGHTEN THE SHOULDER STRAPS. Finally ADJUST THE LOAD ADJUSTER STRAPS as needed. Backpack technical tests. 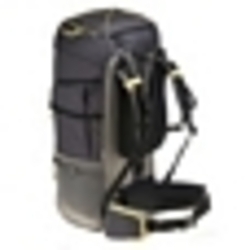 : Backpack components are approved in laboratory tests including fabric buckles webbing foam zips etc. Fabrics are tested for resistance to wear tearing colour-fastness in UV rays washing waterproofing etc. A final test on the finished product simulates the kind of treatment to which it will be subjected over several years to assess the strength of the assembly The backpack is weighted then placed on a dummy which reproduces the movement of fast walking through thousands of cycles. How to pack a backpack : Put your bedding at the bottom. Put heavy gear (tent camp stove food) near the back. Pack your clothes around these items. The ground sheet can be placed under the flap and the tent beneath the pack if there is no space inside. Keep a rainproof jacket and fleece close at hand. Place small frequently-used items (sunscreen map glasses etc.) in the pockets. If carrying a hydration pack (water bladder) this should be placed in its special pocket along the back. How is the volume of a bag measured? : The volume of each backpack is measured using a standardised method: we fill the main compartment as well as each pocket with little balls. Then we empty these balls into a graduated container which gives the equivalent volume in litres with tolerance of a few %. The empty weight indicated is that of our benchmark sample. There may be slight variations. Tested : All our backpacks are tested in the field by users who represent the target market under conditions identical to those found in typical use. Our Field Test Missions team up our product managers with people not affiliated with QUECHUA to test improve and validate our products. Care Instructions : To ensure materials retain their properties (especially waterproofing) we recommend you do not machine wash tumble dry dry clean or bleach your backpack. Do not iron. To clean your backpack by hand use warm soapy water and a brush if needed. Designed For : athletes wishing rechargeable lighting troubleshooting , always at hand . easy:Ergonomic design for easy grip and the action of the dynamo . water resistance:Resistant to splash water ( IPX4 ) . versatility:Strap to pass around the wrist. LIGHTING TECHNOLOGY:Lighting LIGHTING STANDARD : The announced luminous power is the maximum power obtained ignition. After a few minutes , it decreases ( rather quickly in the case of high power ) to turn off totally several dozen hours later. Storage Advice:For long periods of storage , charge your battery to maintain and ensure sustainable effectiveness . > 1 time per month , 2 to 3 minutes.